JOHN BURG z nowym, odświeżonym lokalem! 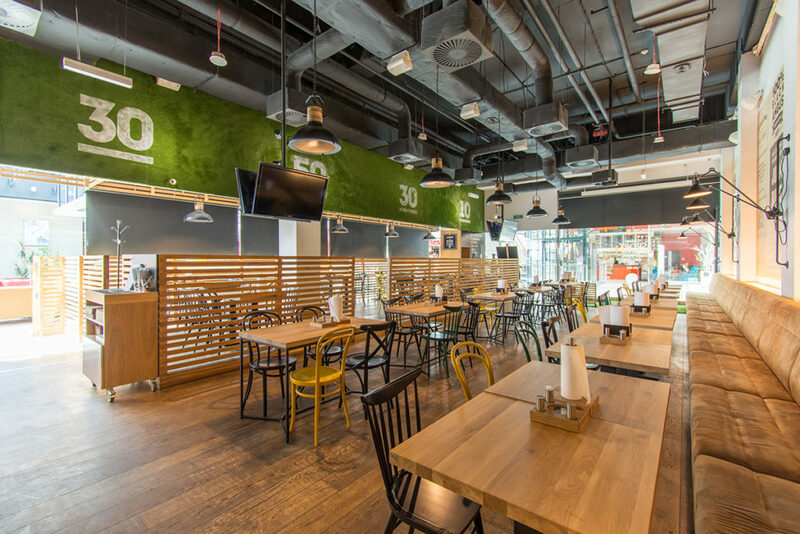 | North Food Polska S.A.
On Wednesday 13 June, the JOHN BURG restaurant at Galeria Echo in Kielce acquired a new, refreshed look. The refurbishment was intended to refresh JOHN BURG’s image and set the direction it is heading in. 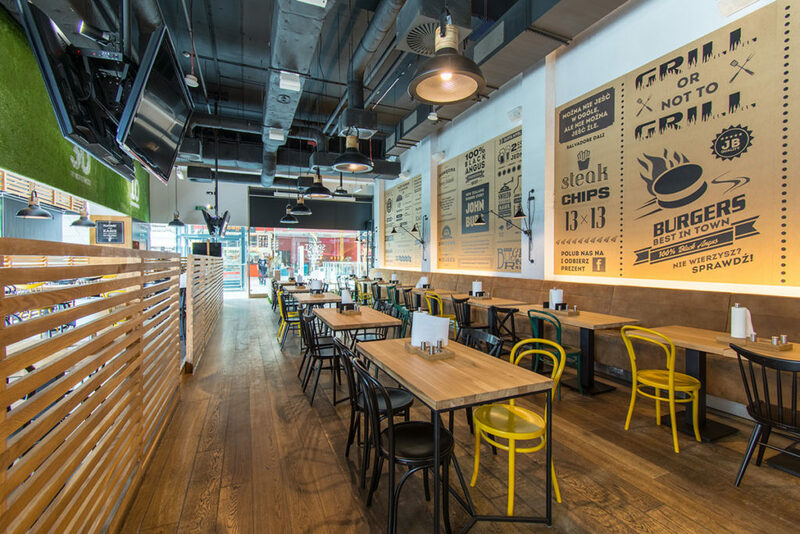 A modern, industrial and slightly raw style now dominates the restaurant. It is a realm of wood and steel, and also grass as a reference and reminder of the restaurants New Zealand roots. As for the furniture, special emphasis was placed on tried and tested Polish manufacturers such as FAMEG and LOFT Decora. “An additional feature which will grab customers as soon as they enter is the new KIDS zone. 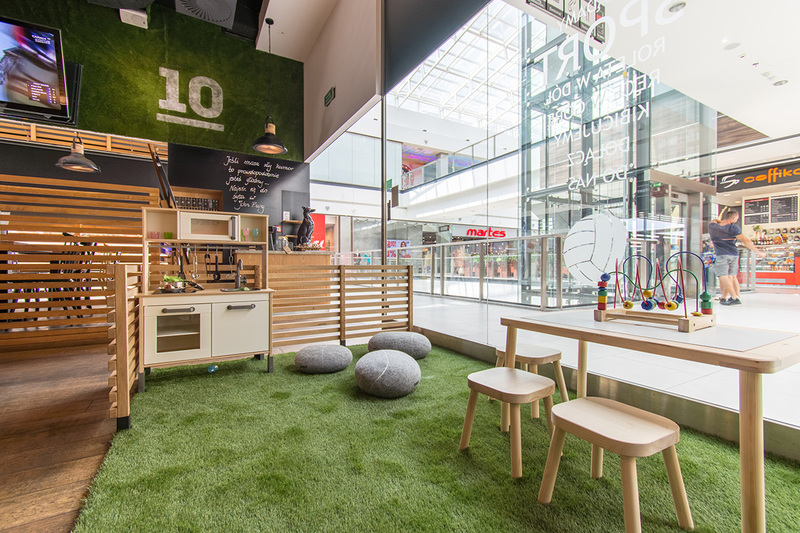 Our youngest guests have the use of their own mini kitchen, where they can feel like our chefs, and a rest area with cushions designed like New Zealand moeraki boulders,” comments Maciej Surgiel, marketing coordinator for Casual Dining restaurants at North Food Polska S.A. The guests have at their disposal 76 seats, 4 televisions, a giant screen with a projector, which is currently showing World Cup matches, and free wi-fi. The JOHN BURG brand consists of restaurants serving excellent quality burgers and steaks from certified Black Angus beef. JOHN BURG is juicy meat, a delicious bun baked on the premises and marvellous extras. All this plus passion and courage in combining extraordinary ingredients.